Congratulations! Finally your dream of singing for your own film came true. Tell us more about your experience? I am so happy that I can't explain it in words (smiles). I always wanted to sing and people who are close to me knew that I am passionate about singing. When the track - Maana Ke Hum, was made and I heard it, I thought this was a soulful number which gave me so much peace. So, it was a unanimous decision that I sing for myself. The response has been amazing and I have got positive feedback beyond my expectations. It is indeed a special feeling. How were you introduced to music in your childhood? My father is a big music enthusiast. My mother was an NRI and after she got married to my father, she started speaking Hindi. So, my musical Influence was mixed. My mother used to listen to Blue Diamond, Abba among others, while my father is a huge fan of Mohammad Rafi. I remember during our childhood, my father used to listen to songs sung by Mukesh and he used to sit with his harmonium. When I started growing up, I started listening to both western and Indian songs. I have been trained in classical music. Also, during our childhood, both me and Mimi Didi (Priyanka Chopra) used to perform with our respective fathers in cultural functions. Major part of Meri Pyari Bindu has been shot in Kolkata. How was your experience? People of Kolkata are very knowledgeable. They have a passion for good music and awesome food. I just love being there. When you exit the Kolkata airport, you see a different city altogether. It seems like time stops there. I get a vintage vibes from the city. We can still see the black and yellow taxis there. What were you upto during your break? I have done up my new house with my inputs, which was very important. I have also given a lot of time to my fitness. Plus, I was busy filming for Meri Pyaari Bindu, apart from other events and endorsements. A person like me needs proper personal time to come back with loads of energy and enthusiasm. Your brand new avatar has been loved and appreciated by your fans. What was the motivation behind this change? The main reason is that personally, I wasn’t happy to see myself on screen. Sometimes, when you are overweight, you actually don't do justice to your given roles. So, I decided to opt for weight loss. Film is a visual medium and you need to give a lot of importance to your look. Also health wise, I was not getting the needed stamina and used to often feel very tired. So, I thought it’s high time to get my stamina back. It's been 12 long years that I have been struggling with my weight. People don't understand that it has lot to do with health as well. How do you look back at your career so far? It's been a good journey. I have always tried to be different from each film. 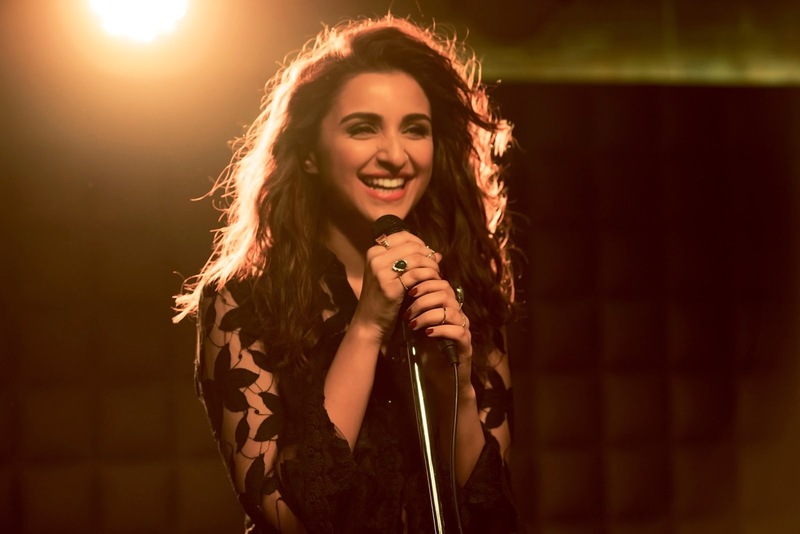 At a very initial stage of my career, I have done films like Ishaqzaade, then a Kill Dil and even Hasee Toh Phasee. Now, Meri Pyaari Bindu is a very different experience to cherish. And now, I am shooting for Golmaal 4, which again is a very unique experience. In these five years, what are the changes that you have experienced as an artist? I think now, I am more confident and knowledgable about the technical aspects of film making. I have more insight on lights and camera. I have also learned how to strike a balance between personal and professional life. Earlier, I used to only work hard and never gave enough time to my personal life. But, now I know how important it is to strike a balance between the two.